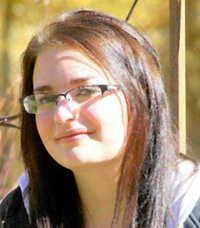 Kayla Jordan Bergerson, born June 16, 1989, was called home on Monday, April 29, 2013, in Sun Valley Idaho. Kayla was born at Griffiss Air Force Base hospital in Rome, N.Y. She grew and thrived there when her family moved to Anchorage Alaska, in 1994. Kayla graduated from Wood River High School in 2008 and began her adult life in Hailey, Idaho, with her mother and brother. The angels waiting for Kayla include grandmother Dorothy; grandfather Sam, uncle Brian; great-grandmother Josie; great-grandfather Sam Sr.; aunt Phyllis; cousin Joe; and many friends. Kayla touched the lives of so many people. She lived, loved and laughed hard but her friends and family in heaven needed her more and she was called home. The Great Gates are held open wide for our angel Kayla to enter. We will miss Kayla dearly but we will find great relief finally knowing that she is safe, happy and healthy. Until we hug again, my sweet Kayla. “For death is no more than a turning of us over from time to eternity.”—William Penn. Services are under the care of Wood River Chapel. Friends are invited to visit www.woodriverchapel.com to share memories, leave a photo and light a candle.